I remember the first time I met Chris Scott, on a cold Colorado morning near Durango. He had decided to fly all the way to the US to buy an inflatable kayak, a plan that would save him nearly the cost of the trip in taxes and shipping. I do suspect the decision was made partially for practical reasons, but I think Chris just wanted to get lost for a weekend- in reality, Chris has been trying to get lost his entire life. As a traveler and editor, Chris is infinitely likable, and not because of his extensive experience (which he has in spades), but because of his honest, genuine and simple approach to equipment, vehicles and travel. Even a casual review of Chris’ travels show a fantastic diversity and infinite practicality. 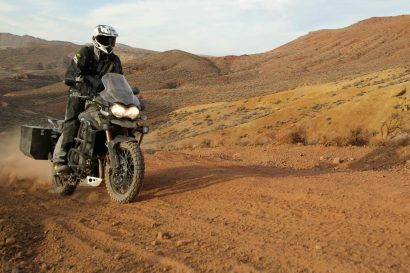 From traveling in Australia by BMW motorcycle to bouncing around Morocco in a Mercedes sedan, Chris has made a lifetime emphasis on the pursuit of approachable adventuring. 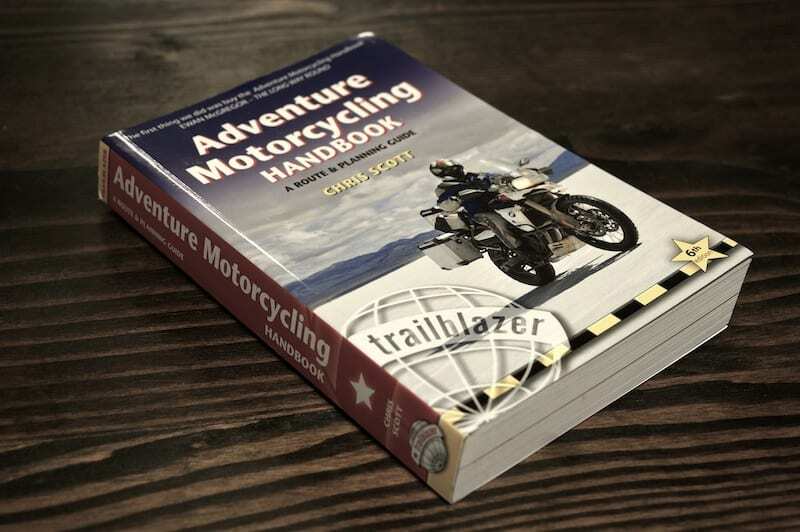 It is that emphasis that makes the Adventure Motorcycling Handbook so incredibly valuable. 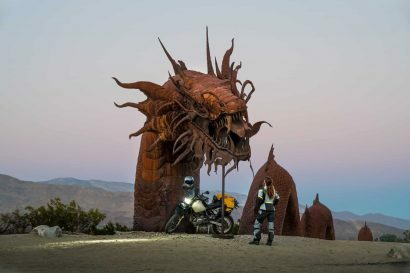 It is not a glossy sales brochure for Triumph or BMW, but a gritty, honest, hard won review of what actually works and what you really need to ride a motorcycle overland. 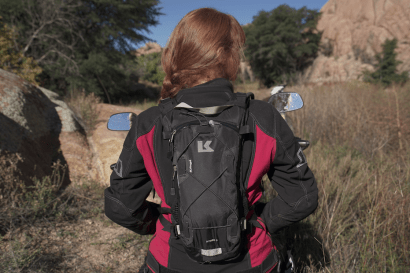 The Adventure Motorcycle Handbook follows a logical review of pursuing moto travel, starting with planning and preparation before selecting a bike and then ultimately living on the road and selecting individual routes. Chris does a great job of interjecting the thoughts, musings and opinions of other experts, all lending to a broader perspective and more interesting read. The book also includes some important updates regarding new models, current route conditions and improved technologies for equipment. While the book is absolutely a definitive guide to preparing for a round-the-world expedition or even a short jaunt to Baja, it most importantly serves as an inspiration to the reader, an impetus to venture further.